mousesports.com/stories/mouz-csgo-2019 What do you guys think ? They will probably use ChrisJ as Rifler / 2nd AWPer. But tbh -ChrisJ +SuNny would be a very very good upgrade. But SuNny is joining C9 soon i think. Well..maybe. But rumours said "C9 SuNny" we will see soon i guess. And why is that? He wont join Ence lol. Well that could (and FaZe should do it) happen. 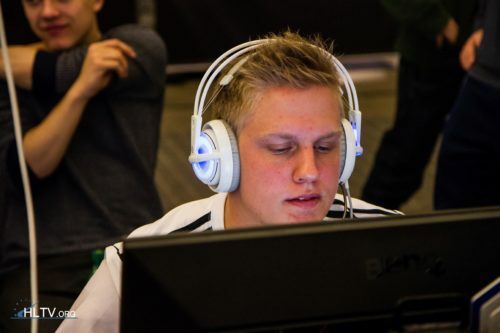 But i heard the C9 rumour for so long now lol & now Flusha left C9 so there is a spot for him on the team. Also there are two articles on hltv already claiming that deal was not reached between sunny and c9. ALso allu tweeted few days ago a sun emoji. Nothing word just sun, which can be interpreted as ENCE sunny. Anyway imo it should be -rain+ sunny, but if faze didnt kick that shiiter rain yet, prolly they not going to do so now and will -adren to +sunny. Well, IF SuNny joins ENCE it would be sick of course & also a HUGE upgrade for ENCE imo. But who would be kicked/benched? Aerial showing some form latelly, so i guess -aleksib. Or if ENCE wants to be faze nr 2, with all star players no supports, then -xseven. Well...someone obviously will. SuNny is a good player. Well yeah. Tbh its either FaZe, C9...&...i got HR as a..."low chance" team that he could join. IF he joined HR it would probably mean Ange1 changed to support & IGL. Ange1 (Support / IGL) SuNny (Entry) ISSAA (Entry) Hobbit (Lurker) +AWPer Obv him joining C9 / FaZe would be 1000 times better. Yeah ofc, SuNny to C9 or FaZe is the most logical move. he will join c9 -flusha +sunny..
think they will use chrisj as support player ! Sunny is good but chrisj might support better with karrigan ! Should just put the supporting part on Karrigan imo & use SuNny as Entry together with Woxic or Frozen. I know mate. & they could use Karrigan as the support & add SuNny over ChrisJ tbh. Frozen can 2nd AWP if needed, hes pretty good at it imo. Yeah, i will def watch Mouz first matches. But do you not not agree that SuNny over ChrisJ would be a better idea? sunny is better ! but for the team chrisj will fit better ! Sunny to c9 or HR or Ence or faze ? Probably C9 or FaZe. He could join HR but small chance. ENCE stated they wont make changes, so idk. HR should pick up styko and oskar Faze should pick up sunny and remove olof of rain. -imo adren do a better job than those 2. c9 should pick up a young player from NA and try him like they did with zellsis but with a better one (s0m, tenz, obo). Chris is much better than Finn, they had to keep sunNy instead of him. Finn is not better than Chris, not in the adult world. He's more praised and popular but that's nothing. Chris is much more impactful I'm certain. There could be any speculations on the rosters, feel free to share. Actually i thinks its good that they have chrisj. He could be a good experienced support player with the other three players being the stars. Well sure. But id rather see STYKO over ChrisJ as support player. ChrisJ have been in Mouz for ages now lol. i dont know about that. I just think they go with expirence and chemistry. + Karrigan and chris have played together before. Tier 2 at max, having great Chris on team but still picking up Finn for some silly reason is silly. Very good that they got rid of oskar tbh, clear motivation issues. Adding frozen is a big gamble, he could either absolutely destroy or be utter garbage, although I hope for the first option. On the other hand I think they should have either kept chrisj benched or not got karrigan. Feel like 2 IGLs are too much. But we will see I guess. Should be woxic + Issa!